histology and student stations. 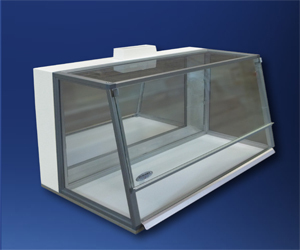 Versatile vented enclosure is ideal for student workstations and critical weighing procedures involving hazardous powders and liquids. Work surfaces, C Frame Tables, Cabinets, Ducting and other accessories available. Available in 24", 36" and 48" widths. 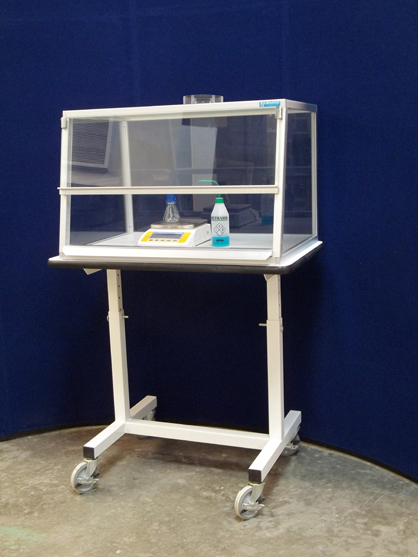 This versatile workstation is designed for sample weighing, pipetting procedures, histology and student stations. 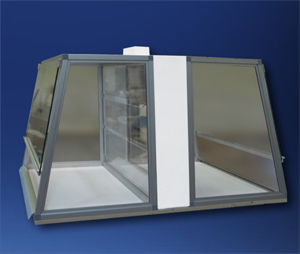 Enclosures are user safe, energy efficient and cost effective. 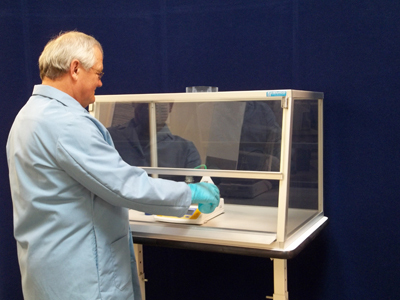 The VSE comes in 24”, 36” and 48” widths to accommodate all analytical balances. Efficient air flow design with air foils and by pass directs airborne particulate to baffled exhaust thereby providing superior air flow and containment performance for user protection. The ergonomic design provides added user comfort. safety glass side panels and viewing sash. ports are located in lower right and left rear wall. 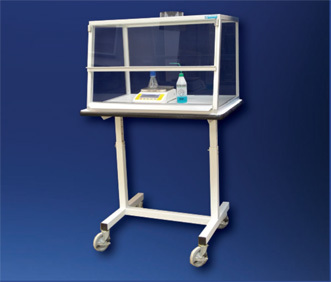 Versatile vented enclosure is ideal for student workstations and critical weighing procedures involving hazardous powders and liquids. 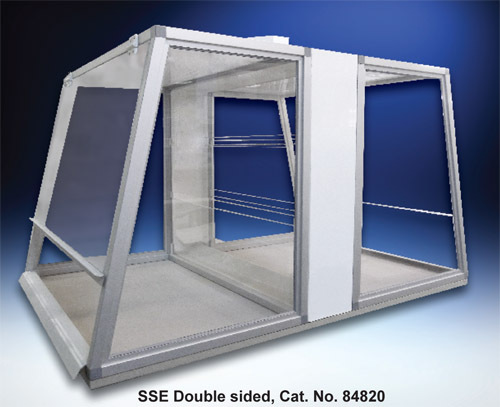 Efficient Air Flow Design with air sent through plenum exhaust thereby providing superior air flow and containment performance for user protection. Ergonomic Design provides the user with added comfort. Chemical Resistant Metal Framing with 1/4” thick clear tempered safety glass side panels and viewing sash. 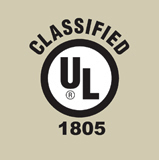 Viewing Sash is angled 15 degrees for ease of viewing comfort with 8” reach in opening height. Sash swings up to provide 20” of access opening. 2 service ports are located in lower right and left rear wall. 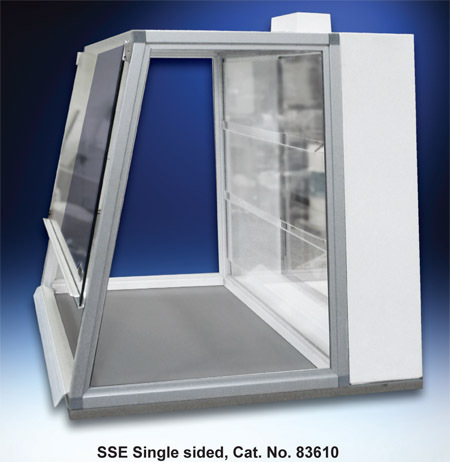 Available in either double or single sided balance enclosure SSE units to meet your specifications. Double sided unit allows viewing from both sides.